One of my favorite looks is an A-line skirt that has a lot of movement to it. I picked this up a few weeks ago and surprisingly haven’t gotten a chance to wear it until now. 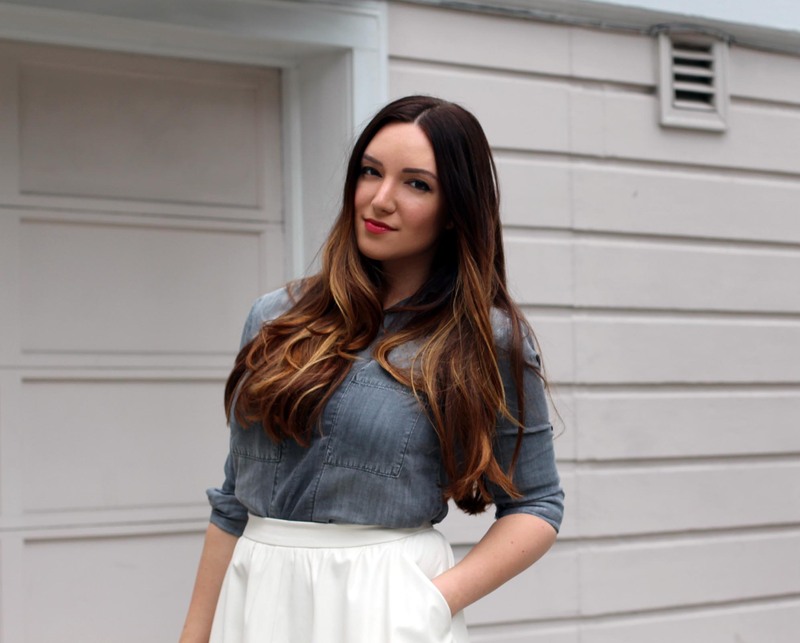 To mix up the faux leather, I added a chambray shirt in a grey color wash…definitely different from your typical chambray! And the finishing touch, some amazing grey suede pumps which may or may not have been an early birthday present to myself…oops! 🙂 I’ve got my suede shoes on and I’m twirling my skirt all over San Francisco! The weather has been so great in SF lately, perfect outfit for that! Yes! San Francisco is finally getting it’s summer. I’m really excited! The grey and white look so good together in the outfit!!! Wow you look absolutely fabulous in this look Jennifer! 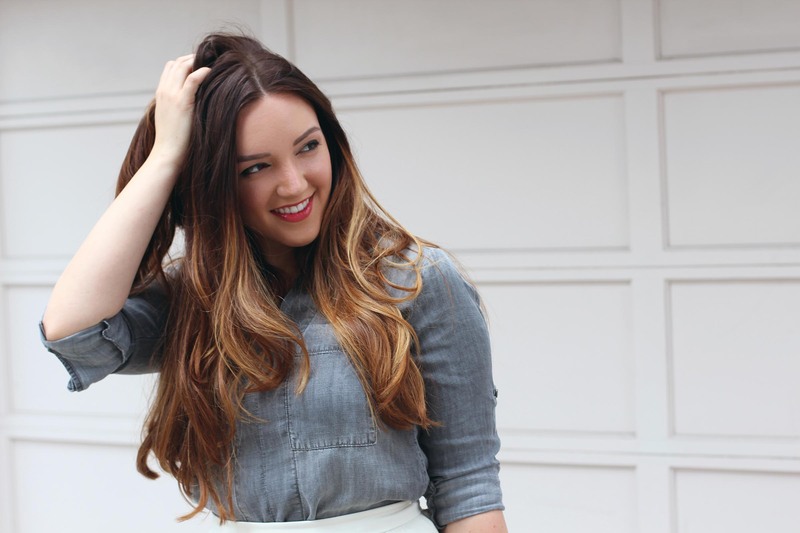 Normally I wouldn’t think a chambray, or denim shirt would pair well with a maximum skirt, but your proved me Wrong! I also love how that shirt doesn’t button all the way down. There is no need for that.